Haven't been to Salt Lake City since the early 90's...but in the winter they had signs at the enterance to the canyons saying, "Studded Tires or Chains Required ". 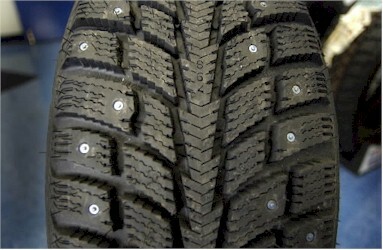 Growing up (and learning to drive) in Buffalo, NY, these were mandatory in winter ... except for my '68 VW - never had/needed them for that one! But boy did they work! I remember using them on my '70 Mustang Fastback 302-V8. It was a must in the winter. Those rear wheel drive 'Stangs were hot cars, but they were so light in the back that they were pigs in the snow and hazardous to your health! Those studded tires may have been noisy and bad for the roads, but they were a godsend on these cars!